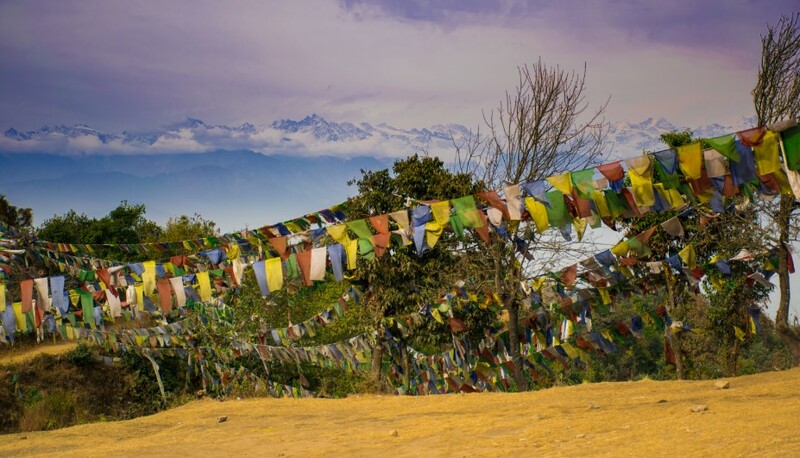 Discover with us the more scenic route from Kathmandu to Nagarkot. Nagarkot was the first place I visited as a kid and I remember being fascinated that I was able to walk above the clouds as we’d visited during the monsoon season when the clouds are generally lower. As a kid I couldn’t believe this was happening as I tried to catch the clouds which would disappear upon being touched. On the misty morning of February 1 we decided to put our Enfield to test. We took an alternate route to Nagarkot where nature was closer and life more relaxed. This secretive undiscovered route passed through many villages where nothing is the same as it is in city, even being so close to it. We chose this route as it is better suited for bike riders and also to save ourselves from the city dust. Though narrower than the main route the experience we gained crossing these charming little towns and villages was something we wouldn’t have felt otherwise. It started from the lush green newari town of Sankhu through Lapshedi. We stopped here to enjoy a cup of tea at a local tea stall and clicked a few (actually many) pictures. It is after crossing Laphisedi that we encountered the famous hairpin curved highways that lead to the beautiful hill station at 2100m, Nagarkot. The tranquility and silence of the route was torn asunder with the sound of our thundering Enfield. We also got lost a couple of times as there were no signboards leading the way but that was the most fun part of this journey as we got to interact with the locals and were able to imbibe a little of their way of life. As we ascended higher, after Jaharsin-Pauwa the road started getting tougher and the wind colder. So we bundled ourselves in our gloves, thick jackets, heavy shawls and rode ahead taking in the breath taking views that guided us. The roads got more rugged but this was numbed by the picturesque postcard scenery we saw at each turn. Throughout our ride we wondered if everyone felt the same as we did upon looking out at the rolling hills in all shades of green and brown that protected our treasured Kathmandu Valley. When we reached Nagarkot, we and our bikes were equally weathered down by the road and decided to freshen up a bit as we wanted to stay till sunset. It was at sunset that we felt surreal when we witnessed the sky paint itself into the myriad of colors and watched the sun set into the majestic Himalayas. There wasn’t a word to describe this beautiful day as we were left with so many emotions and so much appreciation for the beauty that is tucked into our small country, Nepal.